- original decal placement blueprints. 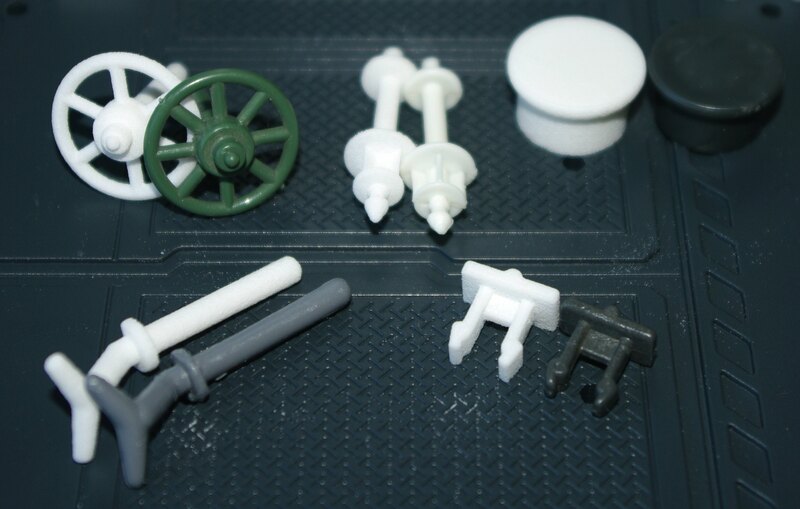 If anyone is willing to send a y-pin (and/or a deck clip, purge valve, mast cap, or any other small, rare, and overpriced part) to me on a loaner basis I can 3d model and make nylon replacement parts available for on-demand printing for relatively cheap. I have already designed working adapters for combining two action figure lines, so making real-world, functional components is something I can do. I have years of good BST feedback here as well. 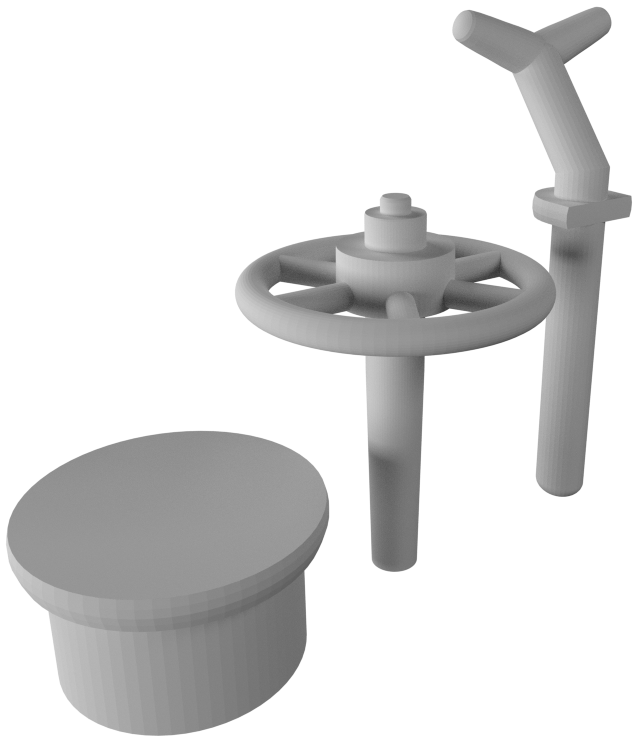 I just need a part to model from, and a person to test the printed part(s) in their FLAGG and tell me specifically what problems there are with the fit (if any). Alternatively, if anyone who has those parts also has a set of dial or digital calipers and can give me photos from all angles along with precise, carefully-measured figures for every measurement I ask for, I can try to model parts without the in-hand sample. I will still need someone to receive and test trial prints though, since I have no way to test them myself. If there are any volunteers, let me know. US-based 'Tankers would be easiest to do the logistics with, but once the parts are completed they will be available easily throughout North America and Europe via Shapeways (US and Netherlands printing locations). Thanks Zap! If you can do the two Y pins surely I would be interested. I'm sending him my Flagg parts to scan. I am working on the deck clip next, and then the radar tip. I am going to be sending test prints back to Xerofall for trial once everything arrives to me from Shapeways. I'll post back here to update you when there is something to talk about. Good job Zap! I was wondering something, even if they are repro parts, will they be the right color at the end? Thanks again my friend and also Xerofall! They will be bright white nylon. You can paint them or use fabric dyes (the type specifically formulated for synthetic/nylon fabrics) to make them any color you wish. I can post links for tutorials for that dyeing process if you want guidance. Ah OK! I hope it remains a thing at the economic end. Because I saw these dyes for nylon and plastic (Rit DyeMore) and I should also buy them from abroad because here in Italy I doubt to find them. The test prints arrived today. Is anyone else seeing double? I am going to ship these test pieces over to Xerofall along with his original parts. Once I have feedback from him about the fit I will post back and let you know if the parts are good to go. The price for a pair of y-pins will be significantly less than the $27+ per pin I am seeing them sell for on eBay. Once they are ready to go I will send you a private link for ordering them.